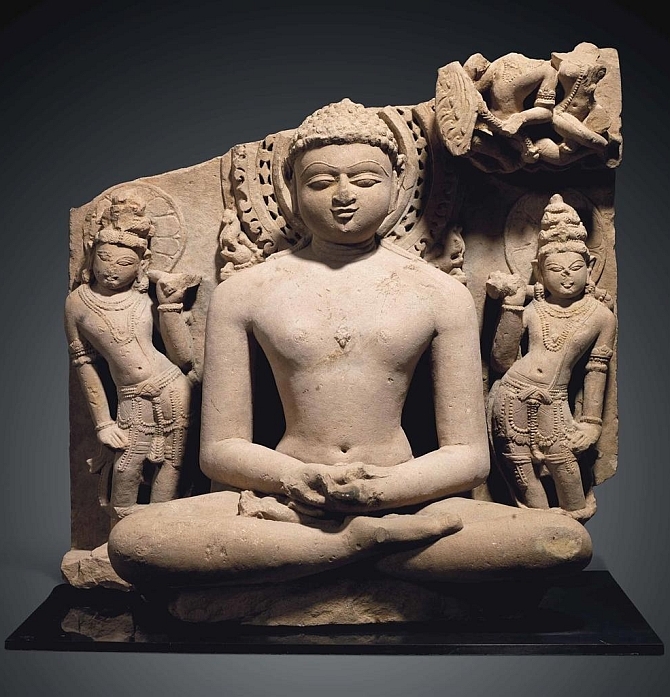 Federal authorities in the United States have seized two valuable artefacts stolen from India valued at about $450,000 (Rs 3 crore) from the premier auction house Christie's, just days before a scheduled auction of the items as part of planned festivities to celebrate Asia week. Special agents with US Immigration and Customs Enforcement's Homeland Security Investigations along with the Manhattan District Attorney's Office seized the two stolen Indian statues in New York, believed to be from the 8th and 10th centuries AD. The artefacts were recovered from Christie's auction house following an international investigation with assistance from the Indian government and Interpol. The artefacts are a buff sandstone stele of Rishabhanata, believed to be from Rajasthan or Madhya Pradesh belonging to the 10th century AD. It depicts a stele carved with the first Jain Tirthankara and is valued at approximately $150,000 (over Rs 1 crore). The second artifact is a buff sandstone panel depicting Revanta and his entourage from India in the 8th Century AD, depicting a very rare representation of the equestrian deity, Revanta, and valued at approximately $300,000 (over Rs 2 crore). According to the ongoing investigation, the Sandstone of Rishbhanata appears to have been sold to London-based Brandon Lynch Ltd between 2006 and 2007. The Panel of Revanta, according to images provided by the source dealer, appeared to have contained an "orphan fragment," a piece perfectly broken off to be sold by the smugglers after the sale of the main part of the sculpture. "This seizure at the beginning of an international event as well recognised as Asia Week New York sends two important messages: First and foremost, it demonstrates that we are committed to protecting cultural heritage around the world and second, it demonstrates that we are monitoring the market to protect prospective buyers as well," said Angel M Melendez, special agent in charge of HSI New York. HSI special agents were able to determine that both of these artefacts had come from a specific smuggler and supplier of illicit cultural property in India. "Every year, fine art collectors from around the world flock to New York for Asia Week, where they spent a reported $360 million last year on Asian antiquities and art," said Manhattan District Attorney Cyrus R Vance, Jr.
"With high demand from all corners of the globe, collectors must be certain of provenance before purchasing. I urge dealers and auction houses to take every necessary precaution to avoid facilitating the sale of cultural heritage stolen from other civilisations," he said. Over the past four years, the Manhattan DA's Office and HSI New York have partnered on Operation Hidden Idol, focusing on activities surrounding the illicit cultural property trade in New York. The investigation has also identified Subhash Kapoor, who is currently in custody in India awaiting trial for allegedly looting tens of millions of dollars' worth of rare antiquities from several nations. The trails of looted artefacts have been traced all around the world. Within the past 12 months, four domestic museums and one major collector have partnered with HSI to surrender illicit cultural property stemming from Kapoor. To date, federal authorities have netted in excess of 2,500 artefacts worth over an estimated $100 million. Since 2007, more than 8,000 artefacts have been returned to 30 countries, including paintings from France, Germany, Poland and Austria; 15th to 18th century manuscripts from Italy and Peru; as well as cultural artefacts from China, Cambodia and Iraq. Is India's warm-up game against SA the real test?